The Independent Label Market will be returning to Old Spitalfields Market this Saturday 12th July, for the fourth Summer market in London (supported by AIM - the Association of Independent Music). The Independent Label Market is also partnering up with London Brewers’ Market for a second time, which will feature a selection of local breweries from the London area, such as The Five Points Brewing Company, Brixton Brewery, Camden Town Brewery, Fullers, Meantime Brewing Co. and many more. 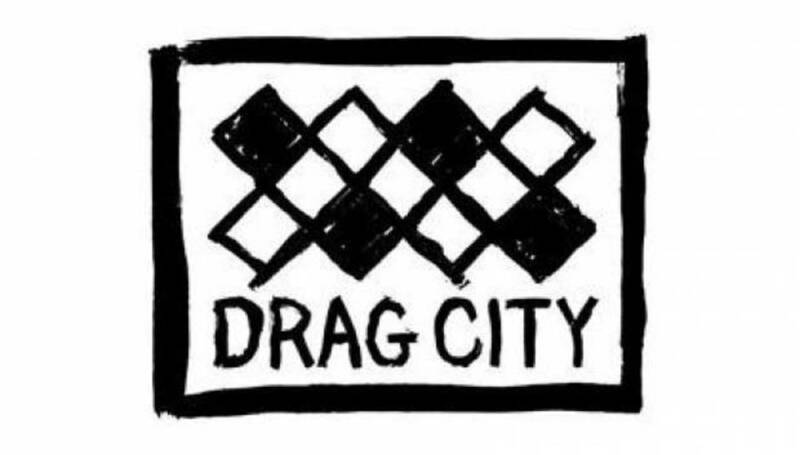 "In the face of the rolling over of industries and the waves of new hearts and souls coursing into the picture, we are Drag City for life, motherfuckers", assured Drag City's Head of Sales Rian Murphy in last March's newsletter. Founded in 1990 by Dan Koretzky and Dan Osborn, the Chicago label (with an office in London overseeing European affairs), which shares its name with a Jan & Dean record, has established itself as one of the most influential independent labels of the past twenty years. After launching the zine Travel & Fist, Drag City's first release was a 7” by legendary Royal Trux Hero Zero/Love Is... . Three EPs by Pavement, Royal Trux's Twin Infinitives and Smog's early lo-fi/noise experiments followed shortly after. In 1993, the label set up the first Drag City Invitational, a three-day showcase held at Chicago's Lounge Ax, featuring performances by King Kong, Smog, Royal Trux, Palace Brother, Pavement and Silver Jews. The event played a crucial role in establishing a sense of the community around the label. SPIN, reviewing the event, named Drag City "America's best label' highlighting, "there is no obvious 'Drag City' sound”. Today the label is home to artists such as Joanna Newsom, Bill Callahan, Will Oldham, Scout Niblett, Alasdair Roberts, Purling Hiss, Magik Markers, Six Organs of Admittance, Jennifer Herrema's Black Bananas, ex-Sic Alp Mike Donovan, TY Segall and many more. In addition to a growing catalogue of new music', the label has been overseeing a series of reissues, bringing to life obscurities and forgotten masterpieces, from the demos of early 1970s protopunk trio Death to the complete musical output surrounding the 1970s hippie enclave The Source Family, presented in full with philological rigor. We caught up with Rian Murphy to look at the past and present of the label and to gain some insights on what will make it stay “Drag City for life”. DiS: The Drag City website offers quite a concise description of the label. “Our version of music. Guaranteed to satisfy the most tolerant listener". Not to spoil the 'mystery' behind that sentence, but in what way is the imagined DC listener expected to be 'tolerant'? RM: Not to demystify things so early in this Q&A, but over time, we find that Drag City has tended to prefer artists, music and entertainment that have some degree of ambiguity in their presentation - the kind of appeal that may produce as many haters as lovers, and all of them feeling the way they do for the same reason as their opposite. So the listener of our dreams has a revolving door in its (gender neutral) mind, that allows conceptions to come and go without hardening into generic identifiers. This dream listener can laugh at jokes that imply terrible things, but not simply because of those terrible things. Can hear through irony or without irony, or ironically; whichever mode is needed to perceive the record. Likes things without vocals and songs with too many words. Accepts ten-minute-plus guitar solos, disco tracks, "lo-fi" and horrible noise, all in search of the amazing song that stands revealed once the ears have tuned in to the sound. These things take a certain stillness of mind. Or a deadness of mind - have you ever heard Neil Hamburger 'Sings Country Winners'? DC will be 25 years old soon. Do you think DC was ever preoccupied with building up a strong label identity or do you think it always regarded itself more as a conduit for the artists? We were preoccupied with both from the start, without being aware of the discontinuity between the two, so they both developed proudly apace. 25 years on, both the left hand and the right hand are quite independently pleased with the results! DC is notorious for the tongue-in-cheek (and highly entertaining) tone of its newsletters and press releases. Where do you think this 'attitude' originate and what does it say of the label's relationship with the world of independents at-large, so often associated with the rhetoric and 'gravitas' of authenticity? Looking back at the 80s, which ended a few months after Drag City issued it's first record, the underground was filled with darkly humorous visions from bands and labels alike. It never occurred to us to be any other way, as that way was not only the most fun but representative of the kind of business we wanted to be involved in. Over time, it doesn't seem to have hurt the chances of the records in the marketplace. So what the hell! We don't see labels out there copping our moves, either - which, strangely, is less offensive than slavish imitation would be. But NOBODY in 25 years? Come on people, write a few jokes! What have been the label's landmark achievements of the past few years and the biggest challenges, if any? Streaming platforms are at the centre of endless debates, with the usual interchange of enthusiasm and criticism. I was wondering if you could comment on this issue in relation to DC's decision not to feature its catalogue on such platforms. How has this choice been received by the artists themselves? They haven't so much received our choice as participated in it. If there were a prevailing good feeling for this method of music dissemination, we be standing on the platforms with everyone else, waiting for the train to come. Drag City is also renowned for its 'reissues'. Alongside the most successful rediscoveries such as Death and Gary Higgins, there's been a constant unearthing of forgotten acts and projects' such as Pete Shelley's Groovy Records-era releases, the album by Social Climbers and so on. How do this type of releases impact on the overall balance between old and new of the label? Taking on this role of 'historians', really, is the label constantly taking risks or is a relatively 'safe' enterprise in the present climate? Is there any substantial difference between the market/success of DC reissues in the UK/Europe and the US? They're fairly much even - probably a little more press interest and sales stateside. Even for Pete Shelley, a son of the crown! What's up, UK? DC also ventured in publishing and recently film distribution. Was The Source Family documentary a one-off enterprise or is film distribution something that the label would be interested in pursuing in the future? Over the years in DC newsletters and on your websites there's been a mocking take on Record Store Day, if I got that right. The Bonnie 'Prince' Billy's condom prank being a memorable one. What's DC's opinion on the initiative? We;d prefer that every day be record store day - every day they're open anyway! So that seems like putting all the eggs in one incredibly narrow basket. Plus, deciding that an arbitrary date in the April is such a holiday makes the commercialization of Christmas and Easter seem like good old fashioned traditional celebrating! Of course, bringing this kind of attention and action into the shops is awesome, and it may even have helped make the retail market in America stronger to a certain degree - but it's also a day that brings out a lot of vampires, both on the production side and on the consumer front - and so there ends up being a lot of junk clogging the bins and a lot of shark-eyed types looking to turn a profit off this occasion. And that, while inevitable perhaps, is uncool. This having been said, we here at Drag City have declared July 18th Record Store Day, and in addition to our own regular slate of new releases, will also be offering three mystery titles that are sure to bring Drag City fans "flocking" to the shops! In this era of musical overload, what's the label's line on signing new acts? It always seemed that DC was never eager to expand its roster with the best new thing, but rather preoccupied to cultivate its relationship with each artist over time, hosting side projects, etc. We're definitely in it for the long haul with the people we like - but If we add one act a year, it feels like we've worked hard. Probably because we have, and I'm just talking about demos here - now that people can email their music links, moment of peace around the office are at a premium! The Independent Label Market takes place Saturday 12th July, 2014, 11am ~ 6 pm at Old Spitalfields Market, London. Find out more about the event here.